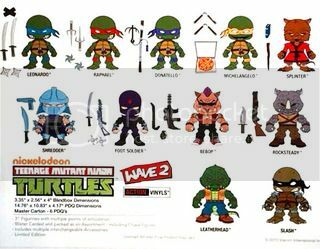 A new teaser image posted by The Loyal Subjects tease what is to come in their Teenage Mutant Ninja Turtles Action Vinyls Series 2. 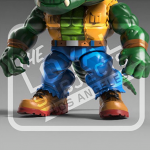 The teaser image showcases Leatherhead. Right now, that is the only figure being teased. 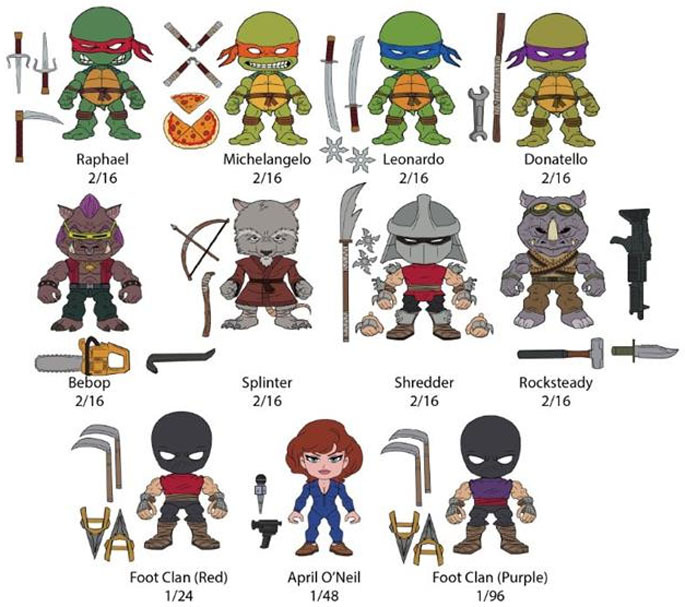 TMNT Series 1 contained the four Turtles, Shredder, and more. We’ll update when we have more info on series 2. See the teaser after the jump. 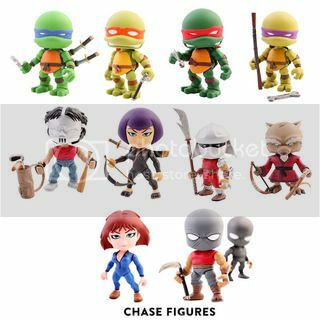 While I'm an old school fan who happens to like the three-toed look regardless of its newness, these figures are obvious nods to the original comic books - so I hope the three-toed Leonardo CG render is not representative of what the final figures will look like. Also, I hope they have some articulation. Nothing fancy, but something. I have some of the Transformers Loyal Subjects and really like them. I will be looking for these. Yeah it does look odd with the 3 toes and the old look. Splinter is definitely 2003 inspired and April, Shredder, and the Foot Clan have their Mirage comics color schemes. Neat! EDIT: Also Bebop has yellow glasses (although the design is different) and sideburns, and he and Rocksteady are barefoot, as in IDW. They both also have their weapons from IDW (Bebop's Chainsaw, Rocksteady's sledgehammer - well and his knife, but he had that in other incarnations too). I'll definitely be painting the bandannas all red since these are obviously Mirage based. Wait, that report about series 1 doesn't sound right. I bought a box and bebop and rocksteady are not in series 1. Kurai and KC Jones are in series 1. I guess they bumped bebop and rocksteady for series 2. It is a likely change they ran with. I didn't personally buy them. Will adjust accordingly. Also, here was the final series 1 releases. Thanks for sharing the pic. That art was released, yes. This is the first tease of the actual figures. And, as we see with series 1, the art and actual releases can wind up being very different. I've talked with one of the designers for The Loyal Subjects on Instagram. This is legit! There is also going to be Mirage(red bandana)versions. Can't wait for that Slash figure!